About a year ago, I came up with an idea to put together a ‘lightweight hunting’ upper, something that would be much more comfortable to carry around while out patrolling fields, looking for varmints and/or predators; but I didn’t want to sacrifice accuracy, or rather, precision. I was also looking for a good barrel for my wife, who’s been showing interest in hunting with an AR, however she complains about the weight of my rifle. Enter Ballistic Advantage. While visiting the Aero Precision booth during SHOT Show 2015, I ran into Clint Hanson from Ballistic Advantage Barrels. They had recently been acquired by Aero Precision, and Clint had a display setup with several of their barrel offerings. 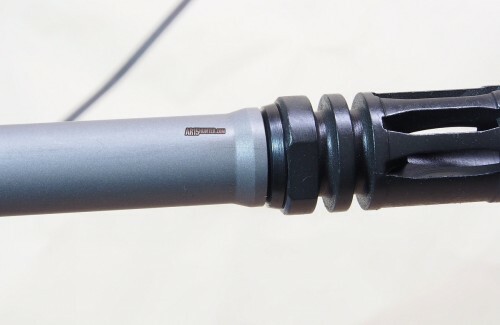 We spoke for a bit about their barrels, and I mentioned to Clint that I was planning a lightweight upper build for hunting, with either a 14.5″ or 16″ barrel. However, even at those lengths, I needed it to perform well. A week or so after SHOT, Clint called me and we spoke more at length about what I was looking for. Since he is the engineer, I told him that I would go with his recommendation on the specs of the barrel we were going to use. What he came up with was a 16″ 416 SS barrel with his signature Hanson profile, a mid-length gas system, 1/8 twist rate, and a 5.56 NATO chamber. Clint chose the NATO chamber, over say a .223 Wylde, as he figured it would be more versatile out in the field, where the opportunity to get dirt, mud, etc. into the chamber is much higher than when shooting from a bench. About a week after our phone call, the barrel arrived. Right off the bat I was impressed. The machining of this barrel is excellent, and the bead blasted finish really made for a nice looking stainless steel barrel. I much prefer it over the shiny finish you see on most “polished” SS barrels. A close-up of the barrel’s markings. Here you can see the BA Hanson barrel’s markings, which are located under the handguard. 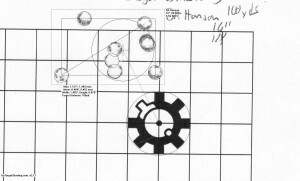 A look at the factory pinned low-profile gas block, and the Hanson profile. The Hanson series profile is very unique, as it uses a smooth radius whenever there is a change in the barrel’s thickness. Normally, you will see sharp 90 degree shoulders when the taper of a barrel changes, as well as where the gas block is located. With Clint’s profile, these sharp shoulders are eliminated, which he claims helps improve barrel harmonics. All in all, it makes for a very slick looking barrel, and again you can see his attention to detail with the machining. Another look at the Hanson profile. Another look at the Hanson profile at the muzzle end. 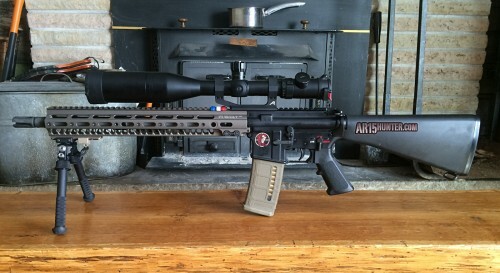 The BA 16″ Hanson barrel installed in my main hunting rig. I installed this barrel into two rifles while in our care. First, for our precision (accuracy) evaluation, I installed the BA Hanson barrel in my main hunting upper. The barrel was free floated using a Geissele 15″ SMR MK1 rail system, and I installed a Smith Vortex flash hider. 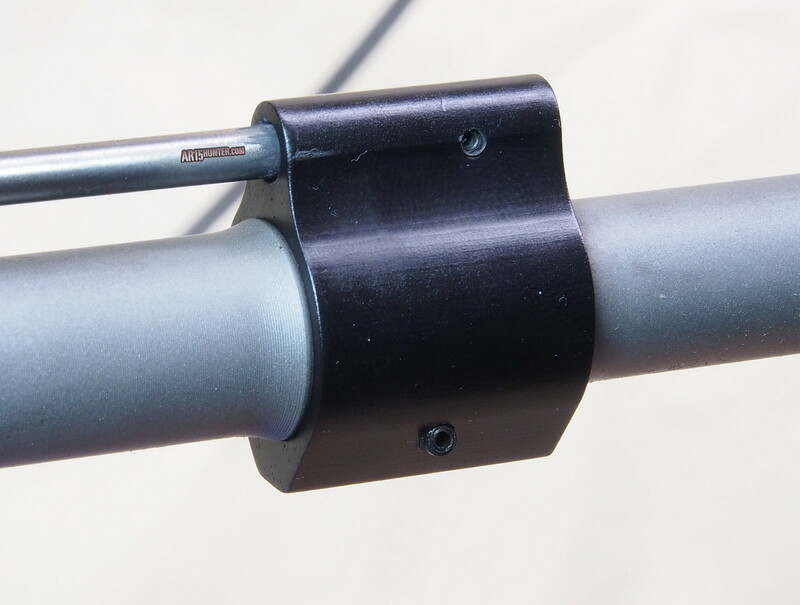 The BA Hanson barrel came with a pinned low-profile gas block, which made aligning the block and gas tube a cinch. I then proceeded to shoot various groups at 100 yards, using factory loaded ammunition that we often us on hunts (more on that below). The BA Hanson rifle on my wife’s Lightweight hunting rifle. 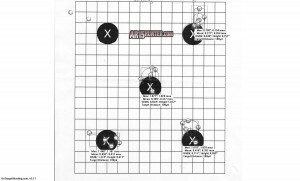 To see how well the barrel shot, I used my Target Shooting Inc. rifle rest and setup my targets at 100 yards. I grabbed a few boxes of my favorite varmint load (Australian Outback’s 55gr BlitzKing load), and proceeded to shoot six 5-shot groups. The results were impressive for such an affordable, lightweight barrel, especially considering it uses a 5.56 NATO chamber. 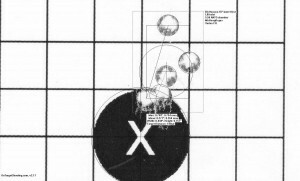 The average extreme spread of my six 5-shots groups was 1.06MOA, with the smallest group measuring 0.75MOA, and the largest measuring 1.38MOA. While this was very impressive to me, I decided to see how a 10-shot group would look. 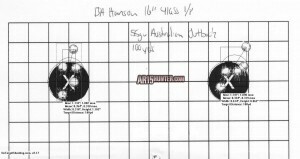 Even when increasing to a 10-shot string, the BA Hanson barrel still shot very well (1.45MOA). And, this was all with zero cleaning since install. All groups were measured using On Target’s software. When I first talked to Clint, I was unsure of how the Ballistic Advantage barrels would perform. Prior to meeting him at SHOT Show, I had never heard of their barrels. Looking at their specifications, they looked good on paper. And, while I enjoyed talking with Clint very much, I’m always a bit skeptical when speaking with companies about their products; especially when they are spouting some impressive claims. After getting this barrel in from Clint and the folks at Ballistic Advantage, that skepticism is all but a distant memory. The sample I have here is fantastic, and it really exceeded my expectations. I was hoping it would at least hold 2MOA, however it proved to be much more capable than that. As I mentioned in our preview video, one of the things that really stood out to me about their barrels was the pricing. 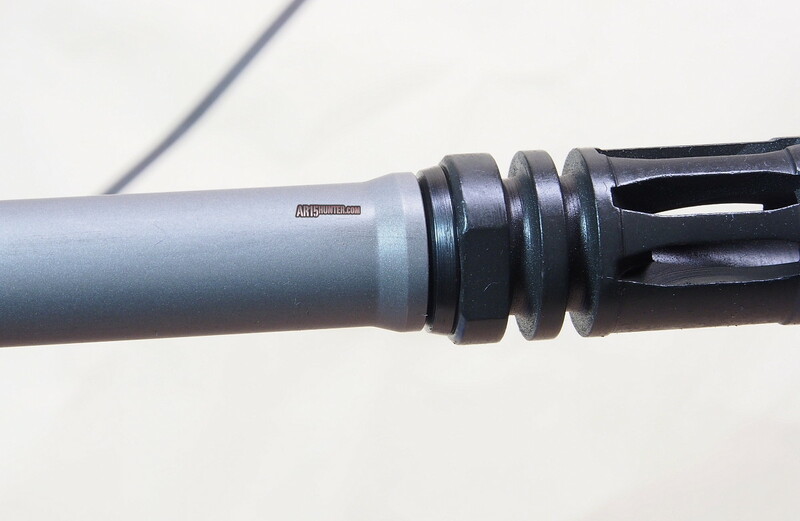 The barrel we tested is only $245, and that includes a pinned low-profile gas block! To me, that’s an amazing bargain, especially when you look at how well the barrel is made, and how well it performs. That said, I have no problem recommending their Hanson series barrels to those looking for a good, affordable barrel for their hunting AR. Even with its NATO chamber, this 16″ middy did extremely well. Head on over to the Ballistic Advantage Website and get 10% Off Your First Purchase – Use Coupon Code: SAVE10NOW . Check out all of their offerings, and to order yours today! Do it!